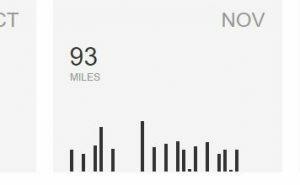 I’ve mentioned before that I don’t like the run every day challenges, but I do like a distance challenge- this year I have completed a couple of 100 miles a month challenges, and they are always good. I can get stuck in a bit of a routine, especially with my midweek runs. I always think 3 miles is the minimum (no point in running for so little that it takes me longer to get changed and shower than it does to actually run). But by joining a challenge I add a little to that- I have found a few 5 mile routes- still the run is less than an hour and still manageable after work. Where it is best, is parkrun, because it means I do a little warm up run first, which makes the actual parkrun feel so much easier. The temptation to leave home later and arrive just before gets higher the longer the term goes on for. 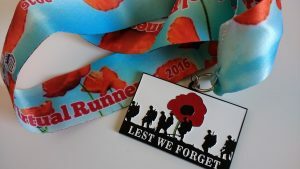 I did the Virtual Runner poppy challenge last year and did 76 miles- I was pleased with this, but decided I wanted to beat it this year. This year I managed 93- loads more! 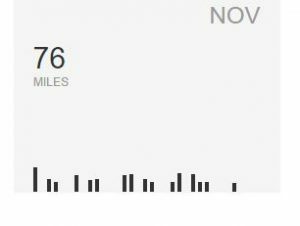 It helped that I noticed I was closer to 1000 miles for the year, so added on a few extra here and there. I am not sure I would have noticed if it wasn’t for this challenge as I don’t usually look at the monthly miles unless I am doing something like this. The month included some parkrun tourism (Preston parkrun in Brighton, and Lydiard parkrun in Swindon, on the way to the Bath Christmas markets). It also included a cancelled race (Brighton 10K) where I ran around the town a bit instead, and an unexpected pb for the Hatfield 5. 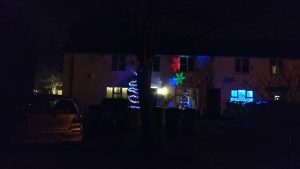 It also included a lot of Christmas light spotting- this house had a projector- the snowflakes were moving all over the place. The medal is beautiful too. And they raised £7600 for the British Legion, which I think is fantastic. Do you warm up before a run? Or just have the first mile as the warm up?